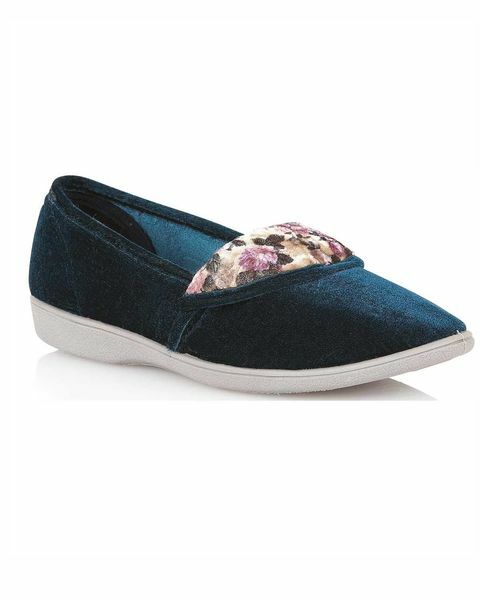 Classic Womens Lotus Trimmed Slipper. Sizes 3-8. Floral trimmed Lotus slipper with man made sole. Rose, Teal.